All of your event photos saved directly to the web for fast & easy download. Uniformed staff member ensures proper guest interaction with equipment. 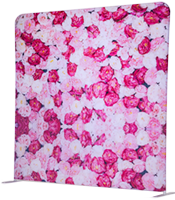 Our graphics team will design an attractive photostrip with the info and logos you provide. Sizes and styles vary with each booth. 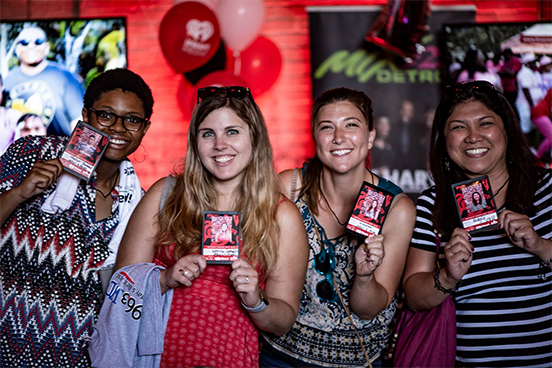 Leave it to us to roll out the red carpet, posh velvet rope, and stainless steel stanchions. 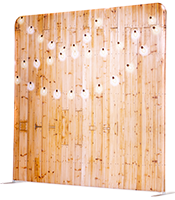 Professional-grade bi-color barn door LED Lamps provide key and fill lighting. Inside? Outside? No power? No problem. 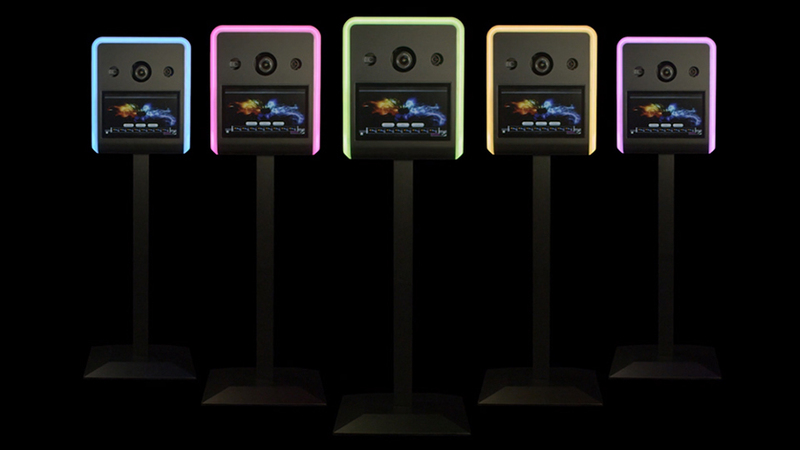 The OMG Booth boasts both a compact, maneuverable frame as well as an independent power supply. 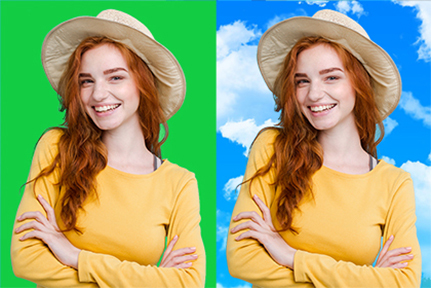 It also reduces the need for traditional printout photostrips by offering a full suite of instant social media digital upload options, making it a completely wireless unit. 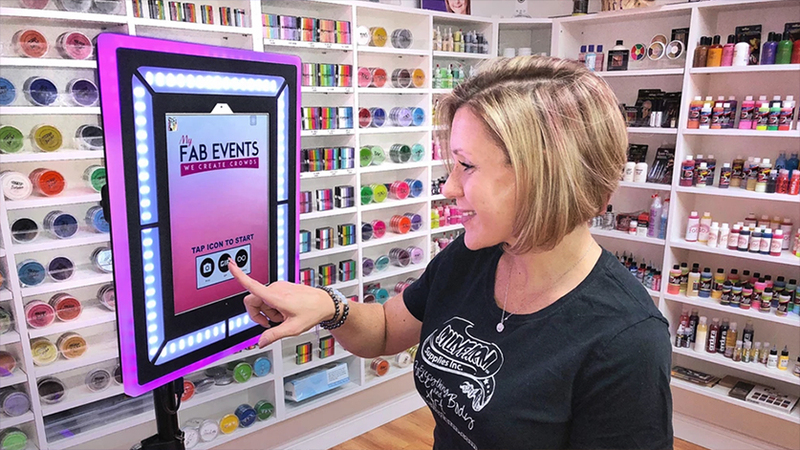 The touch-screen display also features facial recognition, snapchat and instagram-like filters, GIFs, green screen photos, and more! 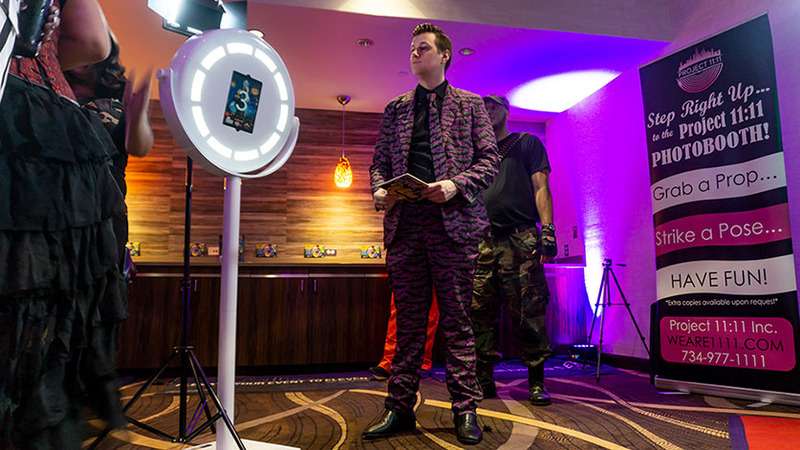 The ultimate in portability, the OMG Booth is always a perfect fit. Don't worry about cord confusion or tripping hazards. Independent power supply allows placement virtually anywhere. 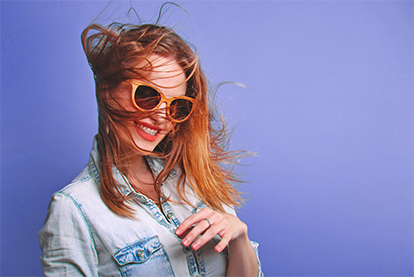 Upload directly to the internet without worrying about losing photostrips. 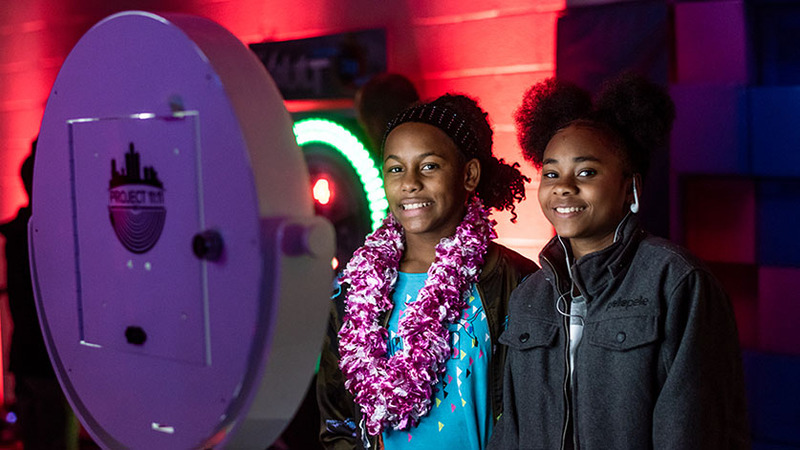 Like our OMG Booth, the Experience Booth offers total totability, as well as an easy-to-use interactive display. 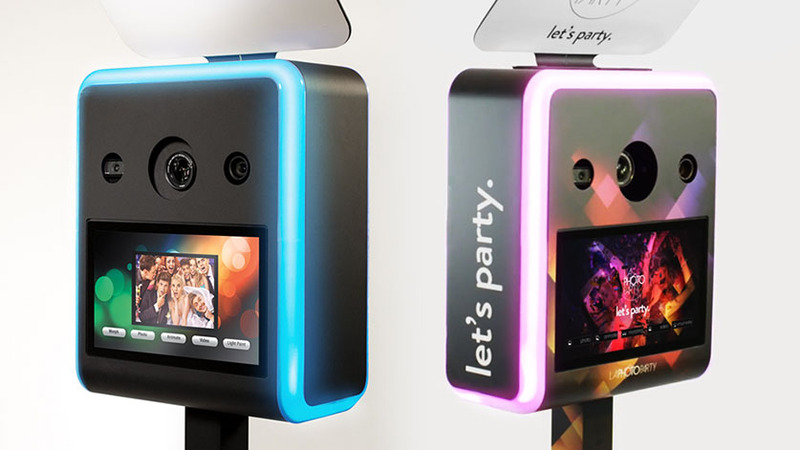 However, it also features a flashy color-changing LED trim, special bounce card lighting, and a clever tri-camera system that allows its user to engage in light painting, morphing, and slow motion video. 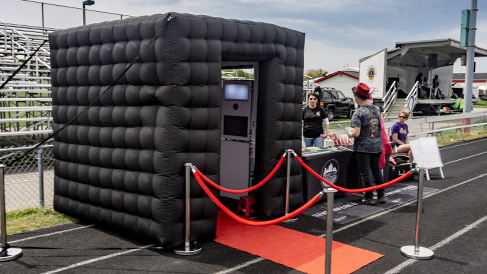 To top it all off, this booth's exterior panels are completely brandable - adorn them with your company's logo or event's theme for an experience all of your guests are sure to remember. Light painting, morphing, slow-mo, and more. Attractively delineated by a full rainbow of cycling colors and patterns. Customize the exterior to fit your event's theme. When it comes to durability and reliability, nothing beats a classic. The Classic Booth model has withstood the test of time and continues to be a workhorse at every event in which it appears. Available in both black and white, this model especially shines when paired with either of the light-up LED Inflatable Cubes (see below). Armored by sturdy ATA plastic and riveted with a metallic trim. Diffuse illumination through top panel creates flattering soft light. Armored by metallic trim and rivets. 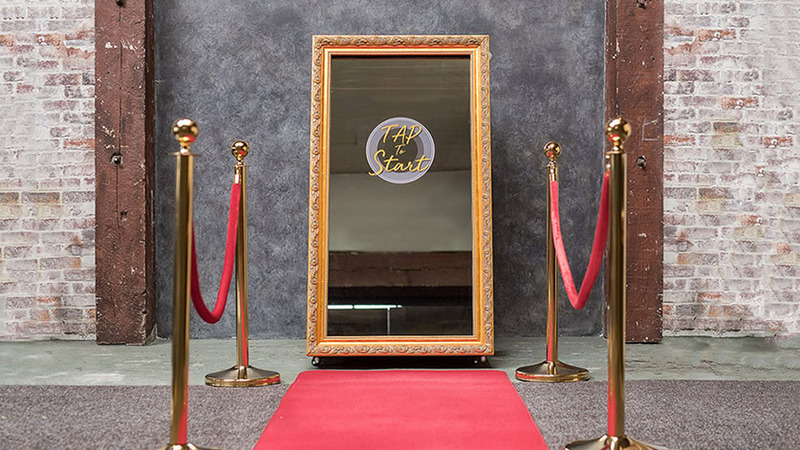 Magic mirror, on the wall, what's the fairest booth of all? Not to play favorites, but this is one booth that definitely brings a certain charm wherever it goes. 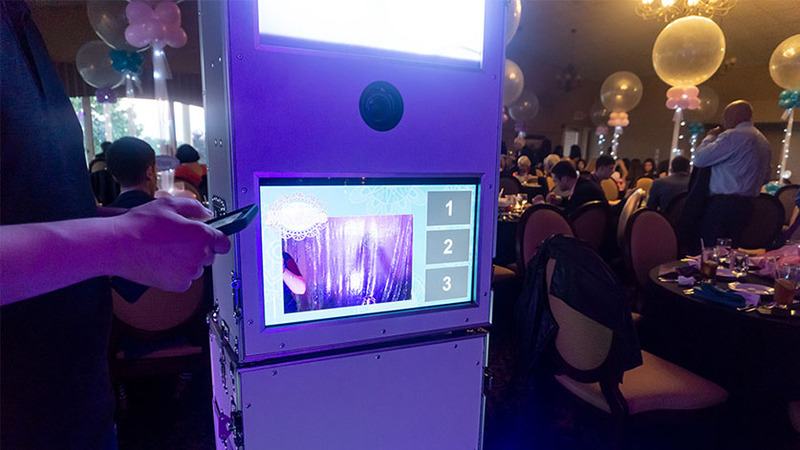 The Magic Mirror is a photo booth experience unlike any other, offering the latest technology in interactive photography. 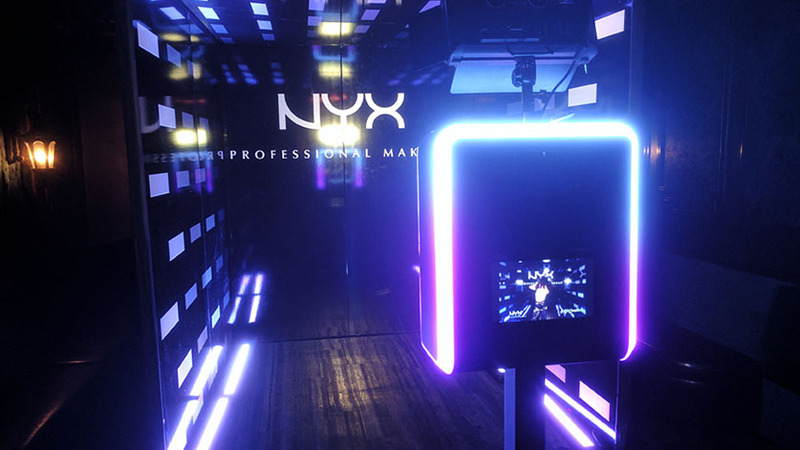 This futuristic mirror is simultaneously a full size touch screen; Users are treated to colorful animations and voice assistance that will guide them on an adventure that's sure to enchant. Select a frame that matches your event's theme. We also offer custom frames! Fun and friendly assistance in the form of clear vocal prompts. 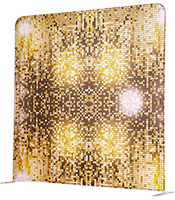 Modern technology merges a beautiful mirror with a giant interactive touch screen, complete with a bright, glowing interface. If you want something done right, call us. But if you'd like to do it yourself, that's pretty good too. 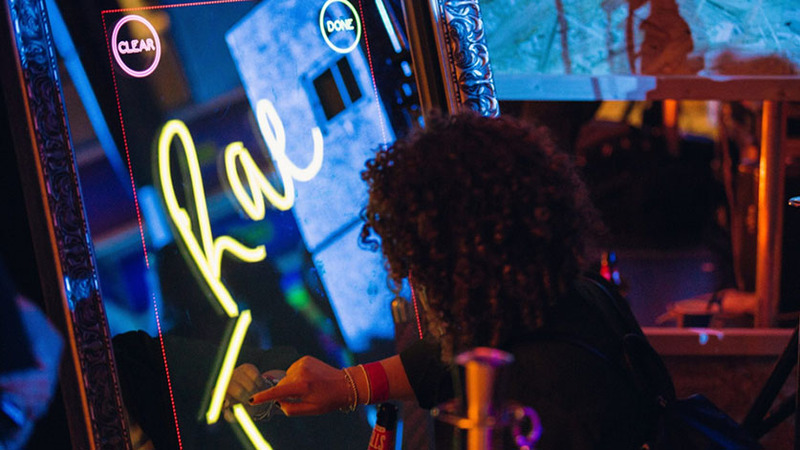 As the name suggests, the DIY Booth puts you in charge. No attendant, no 5 hour time-limit. Just pick up the booth from our location the day before your event and return it the day after. Easy. We can also deliver it straight to you at an additional cost. 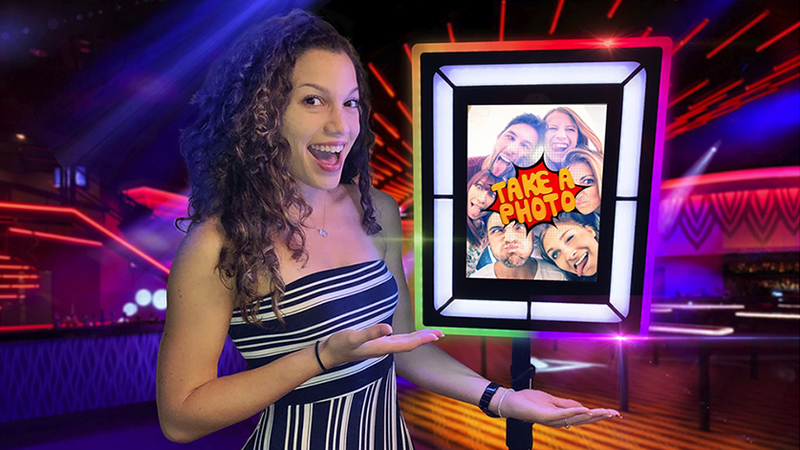 The DIY Booth (Like the OMG Booth) bypasses the need for traditional printout photostrips by instantly sending photos to your phone, email, or social media page. 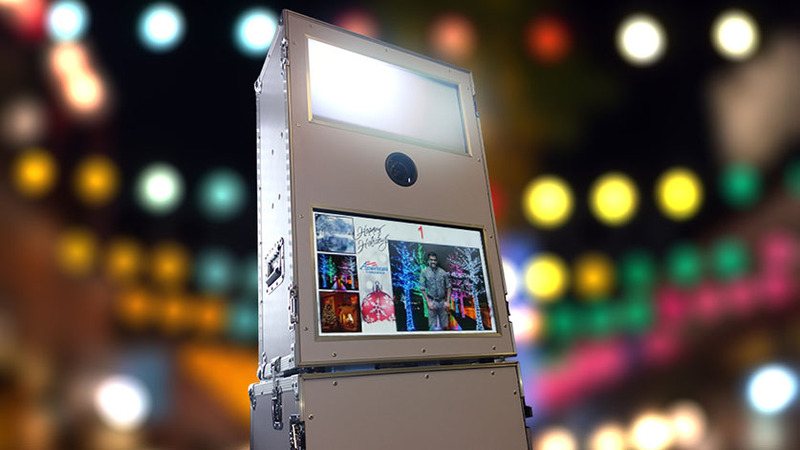 The touch-screen display also features facial recognition, snapchat and instagram-like filters, GIFs, green screen photos, and more. 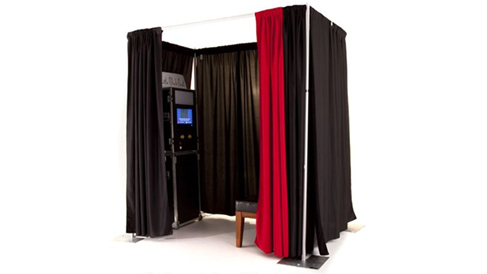 Unlike our other booths, the DIY Booth does not come with red carpet, stanchions, rope, an attendant, or a backdrop included in its price. This makes it an economical option that keeps your guests coming back for more. This booth runs on its own and as long as you need it to. No hurry, no worry. Full day rental! Take a look at them gams! Colors radiate from head to toe. 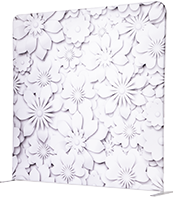 One backdrop of your choice is INCLUDED in your package. Choose from our wide selection here. 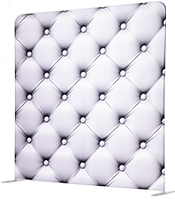 If you'd like to upgrade to a custom backdrop or enclosure instead, view the Extras section below. You've picked your booth and your backdrop and now your package is complete. 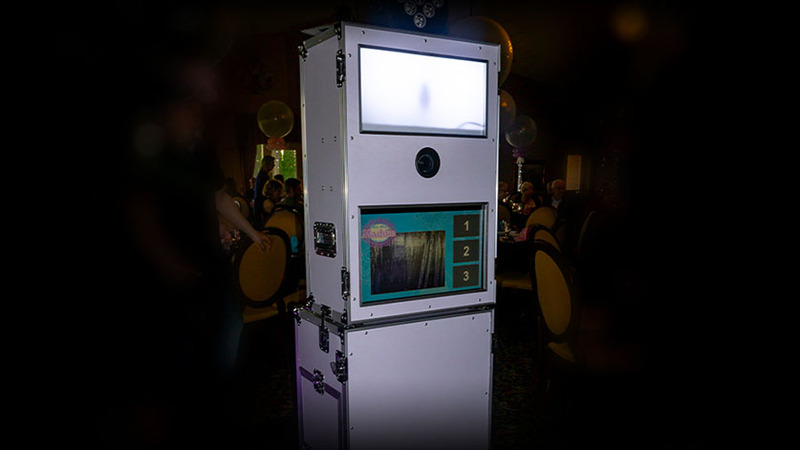 But maybe you wanted a little something extra - Here you can see the many popular enhancements to our photo booths. 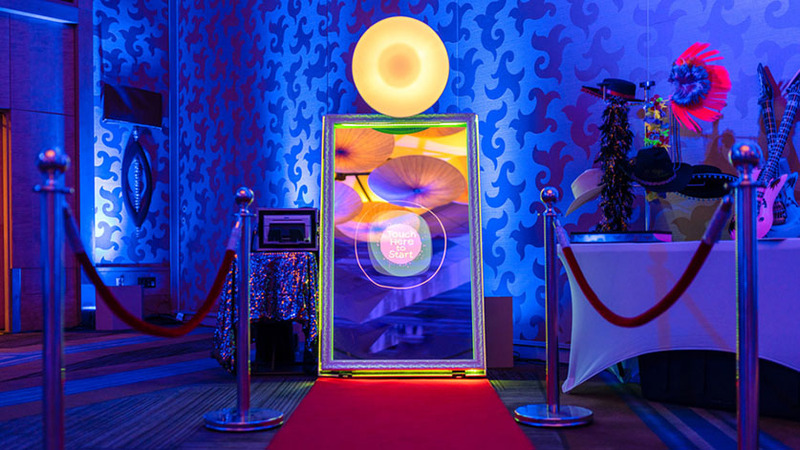 These include custom backdrops, custom props, eye-catching enclosures, and more. These extras and upgrades are charged on top of the standard package (e.g. 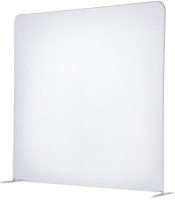 upgrading to an enclosure or special backdrop substitutes the normal backdrop at an additional cost). Give your backdrop some extra flair! A spectacular way to make an event truly yours. Your graphics made huge for all to see. A green screen can take you wherever you'd like. 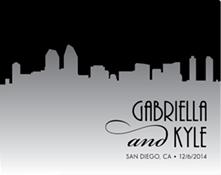 Put the logo, name, or phrase of your choice on customized props! Leave it to us to decide which props will work best for your shindig, or order custom ones! Wrap your booth with one of our high-quality premium enclosures. 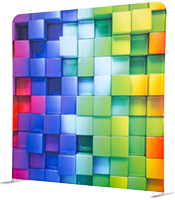 You can't go wrong with this massively fun, color-changing, crowd favorite. Guests are drawn to it like moths to the cool LED flame. This white cube diffuses light throughout its frame and outward, producing an especially pleasant effect when placed in darker areas. Dimensions are 8'x8'x11' (LxWxH). This counterpart has the all the same charm and qualities as its brother, but instead of diffusing light, it bounces it throughout its interior and out through the entrance. While its alluring glow works nicely in low light areas as well, It especially stands out in brighter environments. 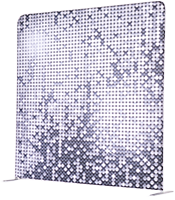 Dimensions are 8'x8'x11' (LxWxH). If you're looking for an old-school touch of class, ornament your booth with a soft silk curtain. 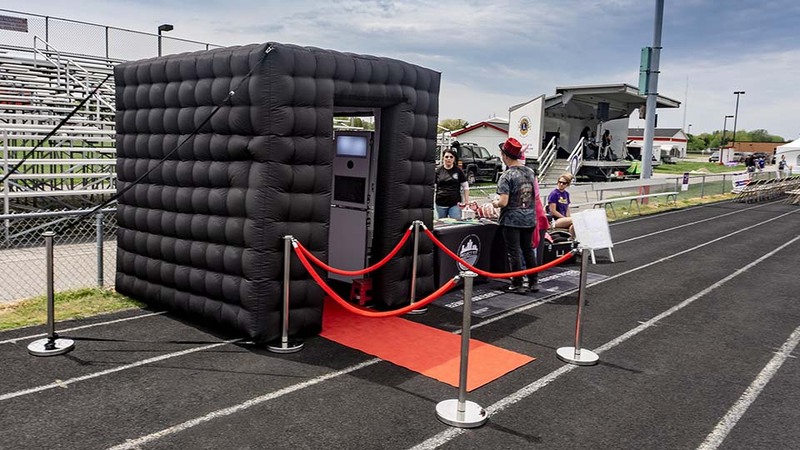 This nostalgic enclosure option offers a cozy barrier from the festivities while the smiles of those within are captured. 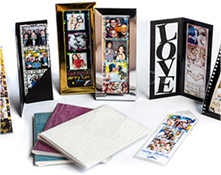 Preserve the memories created at your event in a convenient and stylish album. 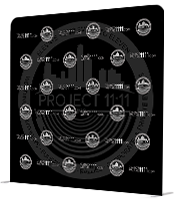 Go digital or pick a custom material to protect your photostrips. Or both! 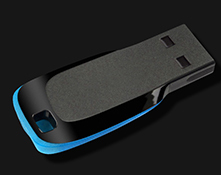 Photos downloaded for you on a handy dongle. 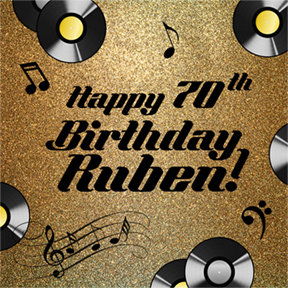 Clear sleeves allow you to add a scrapbooker's touch. Not an album, but a nice way to preserve your 2" x 6" strips. Pine, oak, acrylic, steel, and more! 14 pages bound by 2 cover pieces of your chosen material. Stuff you didn't even know you wanted. 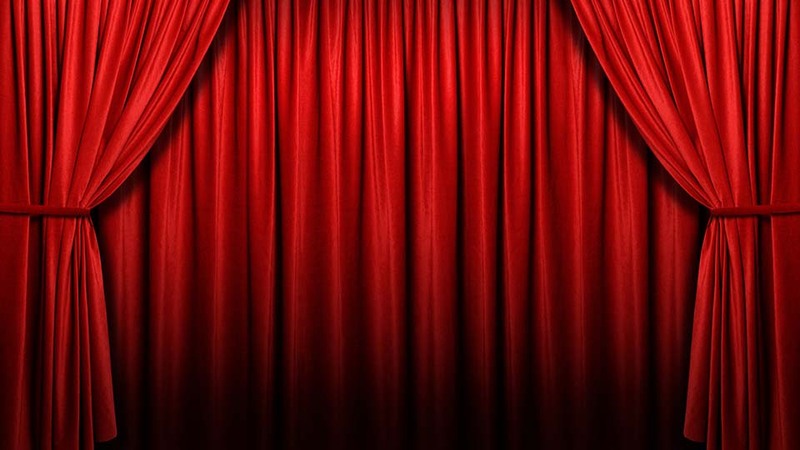 If there's something you're not seeing on this page, please let us know! We have a knack for making things happen. 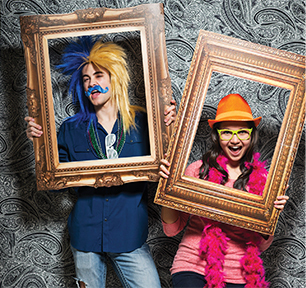 Temporarily prohibit use of the photo booth during a certain time of your event. Everything just looks cooler slowed down. A flashy way to introduce yourself. Illuminate your nametag with strobe and steady modes. 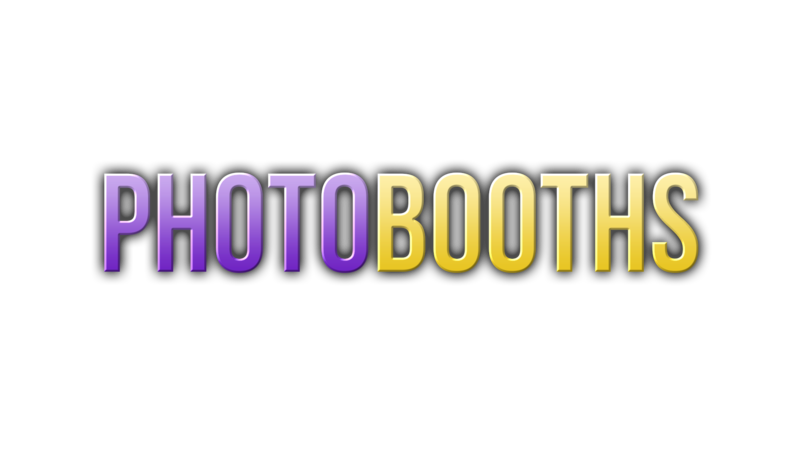 Contact us to book your photo booth today. 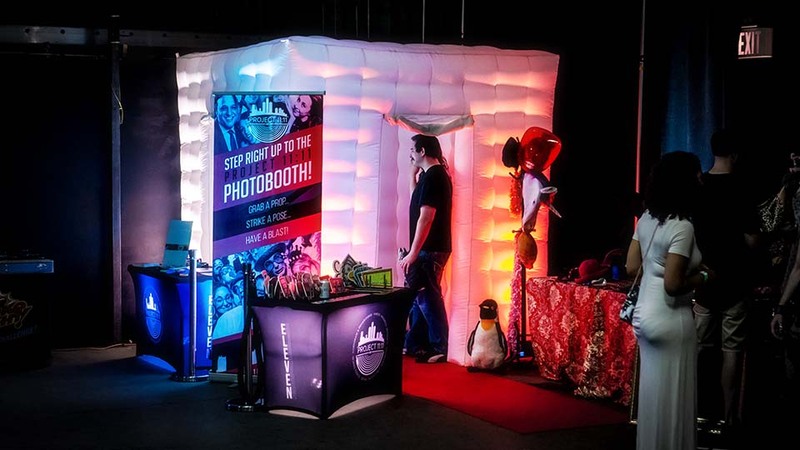 Don't hesitate to bring up any and all questions you may have - Inquire about the booths, the photostrips they print out, the setup process, specs, or anything else you're curious about. We're here to coordinate everything to your liking, and to ensure everyone has a blast. 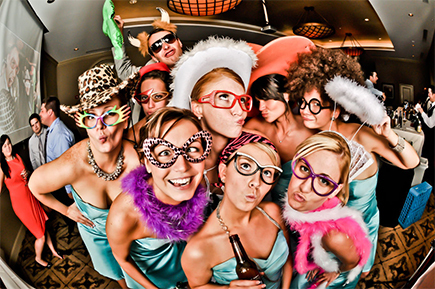 Please peruse our other offerings on our site if you need more than just a photo booth package. 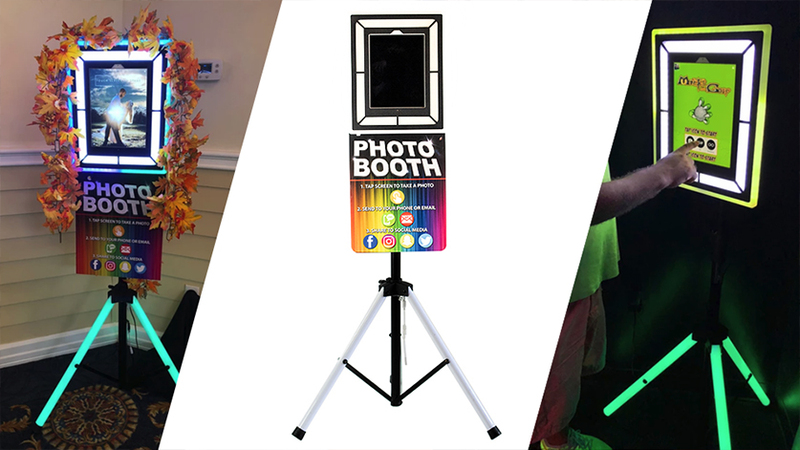 Even with multiple units, photo booths are our most popular rental and spots have a tendency to fill up fast (especially around the holidays). Don't wait to elevate. Reach us by phone or shoot us an email, and we'll walk you through the rest. Trust us; it's a snap.